We specialize in helping publishers, catalog and commercial clients whose needs range from 10,000 to 250,000 standard custom products and formats. Our all-inclusive manufacturing facility and newest technology combines “big printer” operations, with personalized, small printer flexibility and hands-on service. Our heatset web presses feature the new GMI Color Quick “closed-loop” color system. 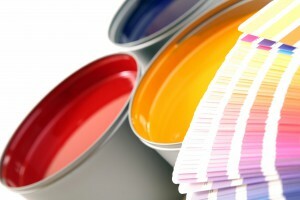 With this CIP-3 technology, the digital prepress files are used to preset the ink fountains. This technology enables us to provide vibrant and consistent color regardless of your publication’s run length. ColorQuick’s on-web spectrophotometer measurement guarantees the most accurate ink density data for closed loop control, as well as L*a*b* color verification, true Status T or Status E density values, availability of colorimetric reports, and spectral and density data that conforms to graphics arts standards for SPC reporting. 5-unit 22 3/4” x 33” commercial heatset web presses with 2 roll stands, a combination folder and sheeter, all utilizing the latest computer-to-plate closed loop technology. 8-unit 22 3/4” x 36” heatset web press with 2 roll stands with a combination folder and a double former folder. 6-unit 22 3/4” x 36” heatset web press with 3 roll stands and a ribbon deck for producing square tab format products. Our saddle-stitch binding operations feature in-line mailing, which provides high-speed addressing of your publication or catalog, eliminating the 2 or 3 days required by trade mailing houses. Perfect binding, polybagging, CD & DVD inserting is also available. We can even help maximize your postal dollars by combining multiple components with our poly bag line. Our presses utilize a closed loop color control which delivers accurate information for each color at every ink key of the press. Catalog and commercial clients whose needs range from 10,000 to 250,000 standard custom products and formats.